The winner in this competition is not only the individual who, on the positive side, has good answers but also the one who, on the negative side, does not make mistakes. So let’s look at both of those issues. What are positive factors in an interview? Without being specific, an interviewer’s number one concern is whether you’d fit into the company’s culture. This is a loaded subject because the decision is subjective. The candidate should attempt to find out as much as possible about the company’s culture by talking to present and past employees and should then display to the extent possible the traits for a good fit into the culture. The other factor weighing heavily on the interviewer’s mind is the image you create. A candidate who exhibits a great deal of passion and excitement as well as specific knowledge about the company seems very attractive. More ways to give a positive impression are via general appearance, attire, and, above all, a natural smile. Regardless of geographic location, language, or culture, a smile means the same thing around the globe. What are negative factors in an interview? Lack of confidence is an interview killer. If you’re not sure of yourself, or you don’t have specific examples, or you’re winging many of your answers, the interviewer will probably not be very impressed. Your body language will instantly reveal the truth, and both parties are thinking the same thing without talking about it. Certain things are universally considered gauche and should be strictly avoided—for example, being late or smelling of nicotine or strong perfume, dressing improperly, chewing gum, or the ringing of your cell phone in the middle of the interview. Any of those could be detrimental. And there are other ways a candidate can disenchant the interviewer—for example, denigrating a previous employer, voicing strong opinions, being caught lying, pointing out where the interviewer is wrong about something, or making the interviewer feel bad—about anything. 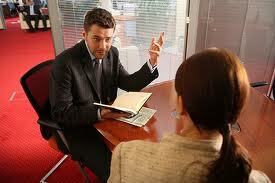 So, in summary, what is the holy grail of the interview process? The answer is, it depends, because a large portion of the decision-making process is subjective and hinges on the interviewer’s consciousness, past experiences, personal culture, and intellectual world. What I’ve learned from performing job interview coaching for several years is that the most important success factors are extensive preparation via mock interviewing the building of self-confidence. Both of those are instantly evident to an interviewer. This entry was posted in job search advice on July 9, 2014 by Alex Freund.